I was invited to put together something about play to insert into a radio program on Education from Emory & Henry College. This piece I wrote and spoke was inserted into the intro to a two-part interview with Erika Christakis, Yale Professor who spoke about play and wrote about it in her book entitled: The Importance of Being Little: What Preschoolers Really Need from Grown-ups. Below is my statement. Here is the link to access archive the the Education A-Z show, hosted by Mark Merz at Emory and Henry: The first part is identified as “education 3-28-2016 play part 1” https://archive.org/details/Education62215Standards. Also look for play part two. Parents are the first to notice their infant children intently observing the world around them, responding to movements and sounds with great curiosity. Actually, many may not be aware that infants initiate a lot of the nonverbal interactions as they are being held by a caring parent, family member, or early childhood provider, cooing and babbling. They are reading and interpreting nonverbal cues of social conventions without being told how to learn this. At this very young age children are agents in their learning, soaking in lessons from their daily experiences. Children learn language by being immersed in the daily life of conversations with their families, which are made up of individuals of a range of ages. They try out the sounds they hear to state their first words, to string words together, and to test the meaning as they interact within the family and community. My child would say bsgetti for quite a while until one day she was ready to hear the articulation of spaghetti in the same way that we heard it one night as I was serving dinner. Children learn to walk independently of someone telling them how. They make some toddling attempts, over and over, falling often, catching their balance at other times, until they feel stable enough to take a step or two, and then move across the room. In these instances, is the goal of a child to be able to move as she sees her parents and siblings move, or is she curious about the possibilities of the movements of her own body, or is she possibly focused on getting to a loving parent who is watching from across the room with open arms? In that moment the parent is modeling the kind of facilitation of learning that we would hope to see in teachers. A process in which the guide, teacher, parent, is aware of and allowing the child to pursue her own goals. The child learning to walk and communicate through language is as immersed in the forward movement of her own development as she is during play. When children play their minds and bodies are fully engaged. They might be asking a lot of questions as they are digging for worms and locating bugs in the play yard. Each question is likely guiding each action as they observe and analyze the findings of their digging they are gaining new information as to where to locate worms and bugs in the natural environment. This inner questioning comes naturally to children. They ask adults questions about why all the time. I am interested in curriculum that generates from the questioning and purposes of children. Where adults provide materials and design pathways for learning that are as respectful of child’s purposes as that parent who allowed her child to take those first steps alone. 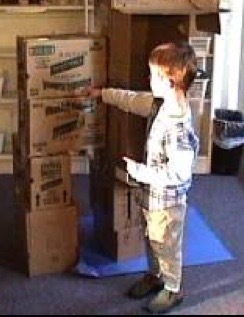 I, and many of my early childhood, particularly constructivist colleagues, believe that when we design curriculum around the emerging interests and thinking of children we are assisting children to learn more of what they need to be successful in the world in ways that feels like seamless play to the children. Think of what we want our children to become as active citizens, lifelong learners, and agents of innovation for future generations. Think of the adults you know who love their work, find it a vocation and calling, who have a commitment to successful outcomes because what they do matters to them and engages their mind and heart at a deep level. I feel this way as an educator. I also feel this way as a creative artist. I am immersed in the work of supporting adult learners as deeply as when I am formulating an image on a canvas. In my work as an early childhood educator, I focus on helping our university students and early childhood teachers to become comfortable in supporting learning through play. To do this I guide teachers to pay close attention to the meaning behind children’s play. What is the child thinking as he is very interested in dinosaurs? Before I jump in a take the play in the direction of a thematic study of dinosaur habitats I want to pay close attention to what children are doing within their dinosaur play. I am thinking of one preschool group in particular. Their gross motor actions and roars as they manipulated small dinosaur characters seemed to me to represent some ideas about the bigness of dinosaurs and how the size of these creatures influenced their movement. So, in response to this kind of thinking teachers can plan for ways to explore how being big has an impact on sounds, like the dinosaur’s roars, or on movements. As we looked through books about dinosaurs, this group of children and I, children’s conversations also centered on scale, comparing the size of one dinosaur to others, and comparing dinosaurs to themselves. They wanted to get some idea of how big a dinosaur was. The ideas for this comparison emerged from the children, in a conversation that took place as they were looking at books, playing with small dinosaur characters, and using small blocks to build tall dinosaurs. 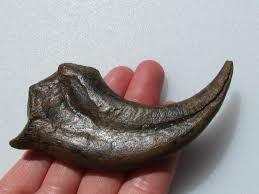 They saw a claw of a dinosaur and decided that it was comparable to our human fingernails. They had an idea of the size of the claw from a photo in a book where the artifact was on a table near a man. The idea for their next steps in learning was theirs. They were agents in this learning. They wanted to measure one of my fingernails with a length of string. Then they wanted to cut many, many pieces of string of the same length as my fingernail. This unit of string became the measurement tool that they used to see how tall I was. They lay me down on the floor and lined up as many pieces of string as needed to make a line from my feet to the top of my head. Then we counted these. Of course they were not able to count the high number, so I assisted. What is important here is that their thinking was scientific, they had a theory in which they were following through with a plan to find an answer to their question, and I was supporting their thinking. The next phase of their plan was to draw a model of the dinosaur claw to a size that they believed to be proportional to the one in the book and to cut as many of these as they had of the units of string used to measure my height. There was a lot of strategizing involved in this conversation about proportion so that the process took a few days. Their idea was to construct a line of these claws (their representations) to see just how big a dinosaur was. The line went from one wall to another, so that it had to turn and go out the doorway and down the hall. Discussing where this model for a climb in dinosaur needed more structure based on children’s observations that it tended to topple, not balance, as they tried to climb inside. Children constructed this model within a long term investigation of the scale of dinosaurs in which a parent helped to build a wooden product from the final model. This was play filled with learning that was facilitated by an adult, a teacher. Sure, they were not obtaining real facts. If I had told them just how big a dinosaur is I don’t think these four year olds would have been able to comprehend the scale. Sure, the scale of their invented measurement might not be accurate. But, what they are gaining here is an inquiry mind, an ability to use a model to represent an idea, to develop and follow through with a plan. They are finding problems, asking questions, coming up with solutions. These are all the practices of scientists. Practices that the the National Research Council (2011) found as similar to the processes of learning, through play and in natural settings. Skills that this council recommends as the Next Generation Science Standards, the areas in which we want to assist children in developing competency. This kind of skill building requires opportunities for questioning through the process of finding problems based on observation and evidence. This kind of questioning and problem finding requires conversations where the child’s thinking can formulate, and this doesn’t occur in the closed ended school settings where teachers are the ones asking the questions, expecting specific answers, providing the problems and the procedures for activities. These practices of scientists mirror the practices of creative thinkers, and require open-ended processes for learning that are responsive to the thinking of children. That particular dinosaur study led to many, many more investigative processes in which children were able to meet many expected learning standards for their age, and, they were able to meet many, many more that were kindergarten and even first grade standards. By designing curriculum like this, in response to children’s thinking, the meaning of their play, the children learn what they need for the school assessments and beyond, AND, the curriculum feels like play to them. NRC. (2011). A Framework for K-12 Science Education: Practices, Crosscutting Concepts, and Core Ideas. National Committee on a Conceptual Framework for New K-12 Science Education Standards. Washington, DC: National Academies Press.